They were trying to get him fired. They looked for anything they could use to get rid of him. They found nothing. 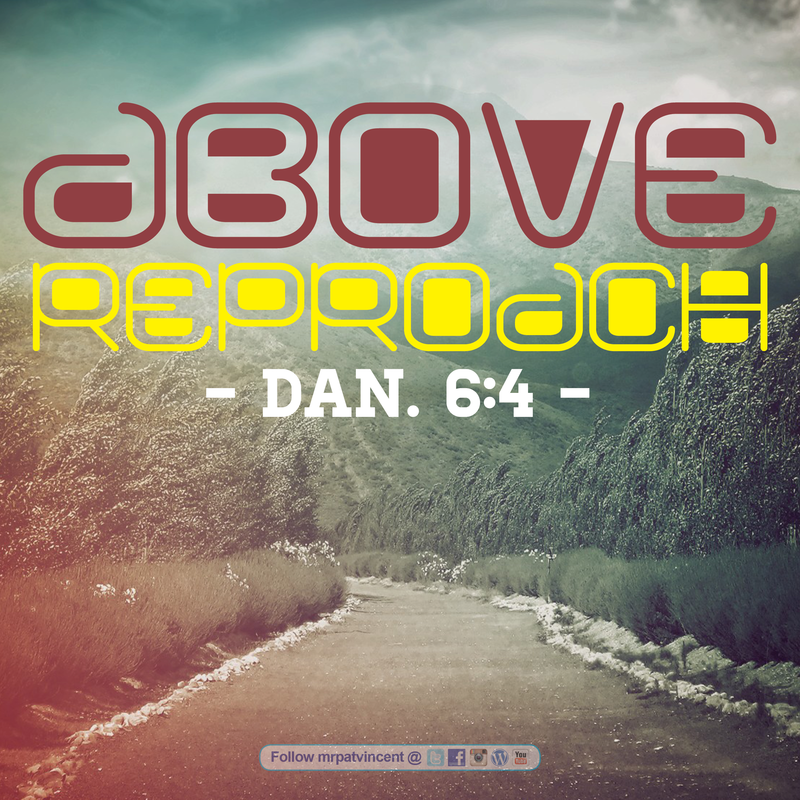 Daniel was above reproach. The only thing they could use to trip him up was his faith and devotion to God. What a testimony. What a relationship with the Creator! What an inspiration. Imagine if the same could be said of us? This kind of character is something for which we should always be striving. This entry was posted in Christian and tagged Bible, Christ, Christian, Christianity, church, Daniel, David, Faith, God, God Bless, God Loves You, God's love, God's Praise Room, Gospel, Heart of David, Holy Spirit, Jesus Christ, Lord, Love, Ministry, Not a Fan, Old Testament, prayer, Preach, Religion, Religion & Spirituality, Reproach, Salvation, Scripture, Worship. Bookmark the permalink.